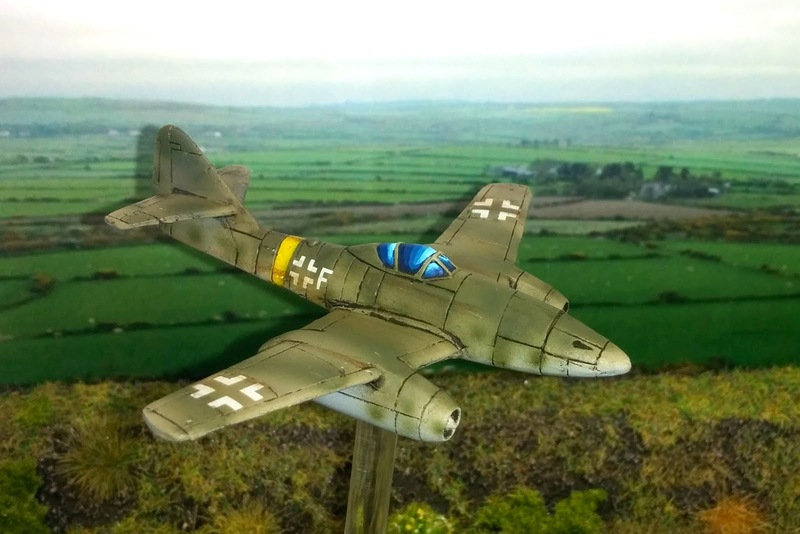 This Me262 was part of a larger commission alongside the model I posted last week of Rudel in his Stuka. My apologies that the pictures are not as good as usual. I took the photos on my cell phone as I did not have my camera available at the time. 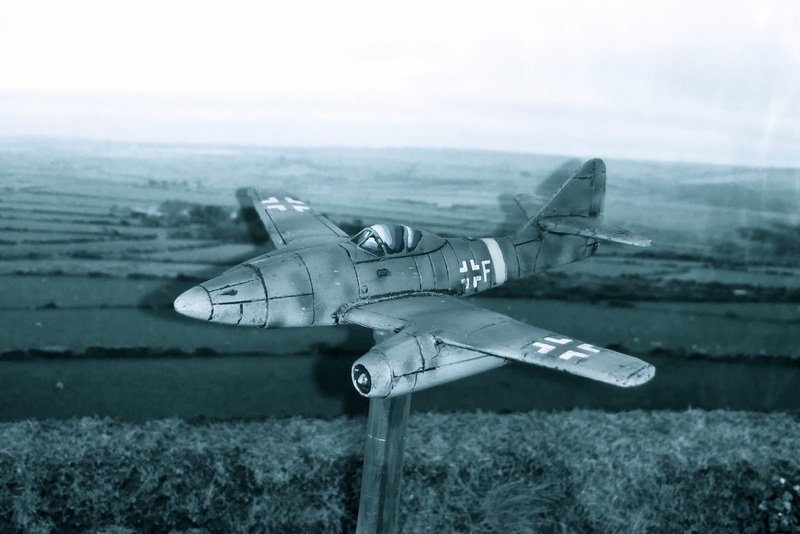 You can see the other two Me262s I have painted here and my tutorial on painting hard edged Me262 camouflage here. 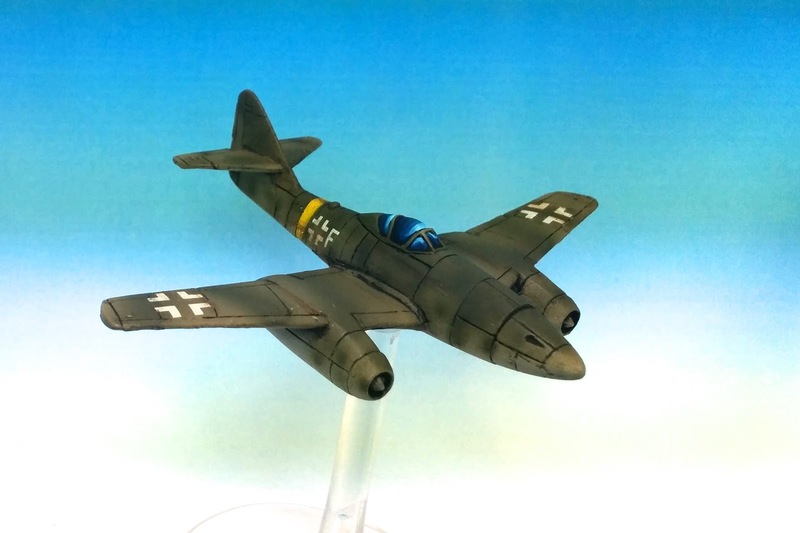 For this model I painted it in a soft edged camouflage pattern. I sprayed the underside with light grey and then added a darker base colour and the camouflage on top. I sprayed the camouflage free hand with the airbrush. 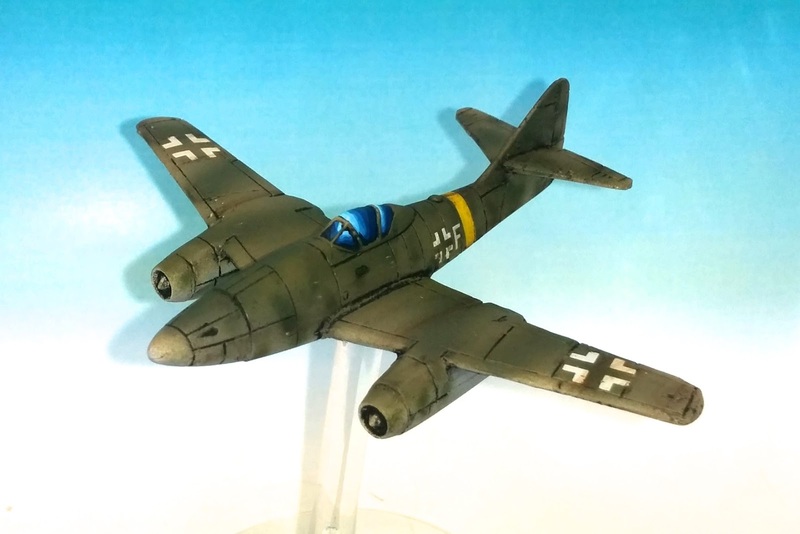 The Me262 model is probably my favourite Battlefront airplane model to paint. The bulky details and solid model make for a nice and clean cast with little cleanup or assembly needed. The hard, dark resin takes paint quite well but is really difficult to clean up. Luckily this model had few mold lines or issues that needed to be repaired. Thanks for visiting. Check back soon for some year in review and goals posts as well as some exciting new Jagdtigers! Wonderful paint job. I'm quite a fan of this plane, I didn't realize battlefront had one. Thanks Dave. It is definitely my favourite of the Battlefront plane models (that I have assembled and painted so far). Stunning! Really great job Cameron. Thanks! Glad you like it. I've got to get more done for the 6MMRPC!